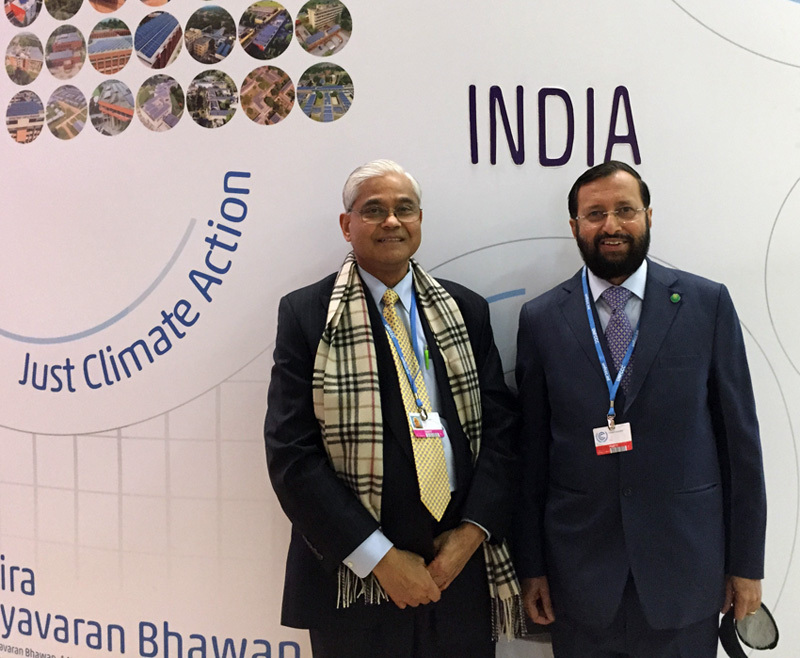 2015 United Nations Climate Change Conference (COP21), Paris, France. 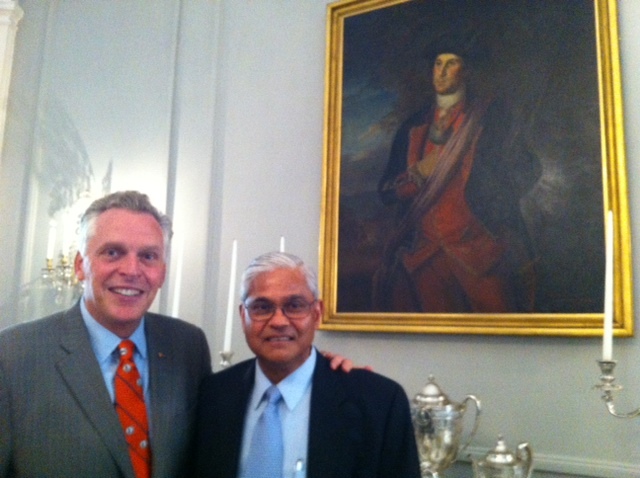 in front of the oldest portrait of George Washington, September 2014. 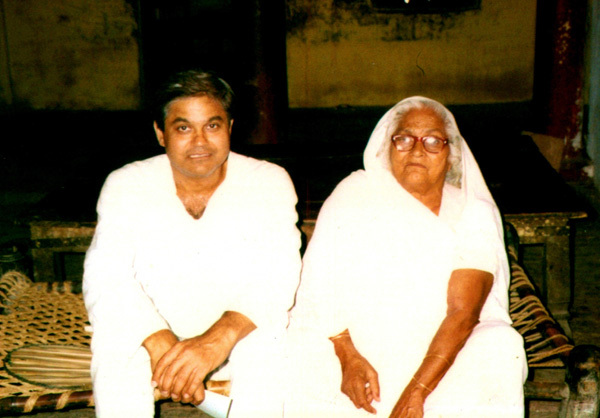 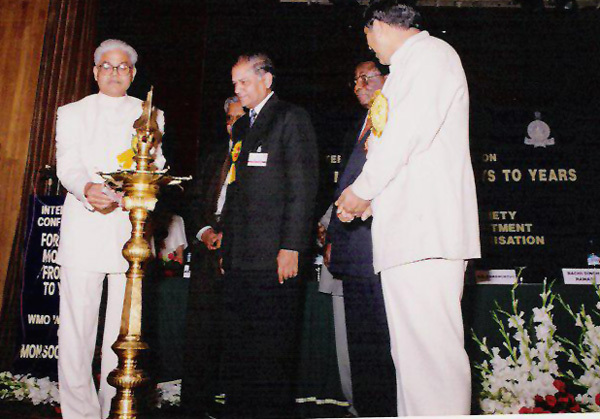 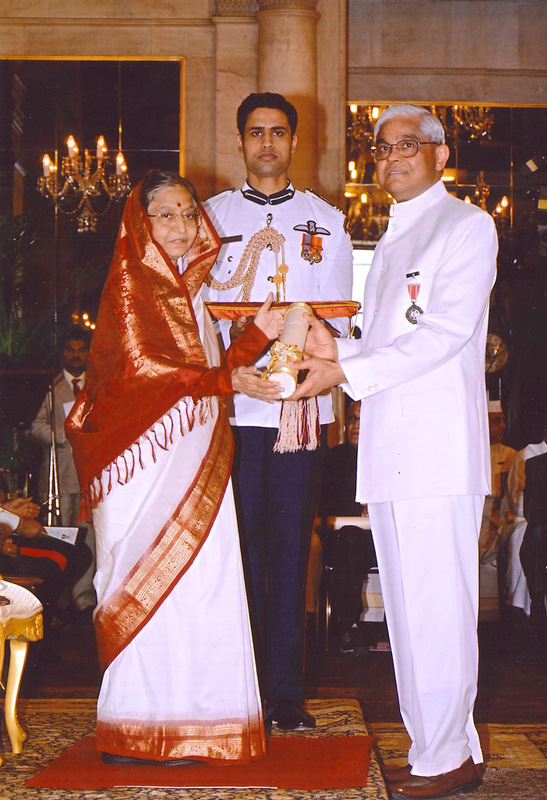 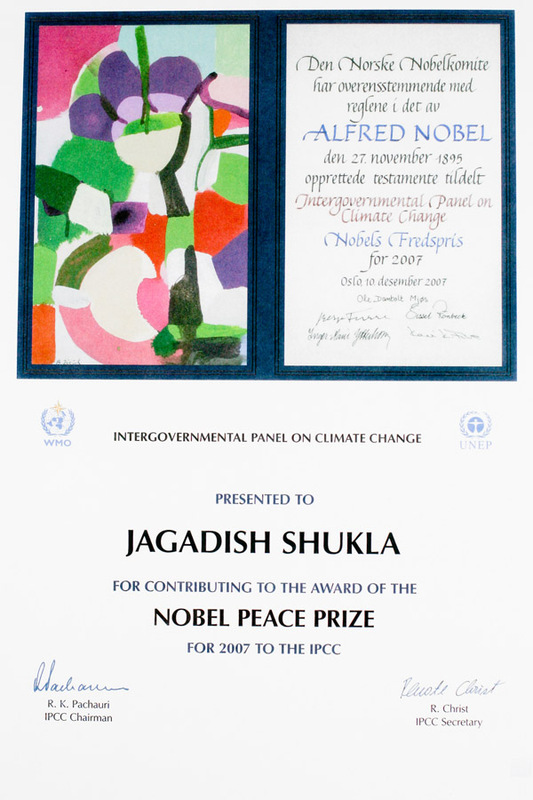 Shukla receives the Padma Shri award from Mrs. Pratibha Patil, President of India. 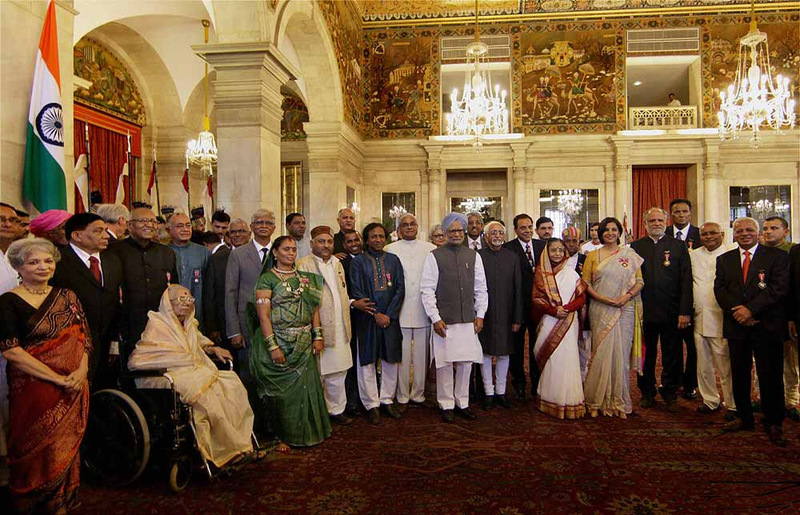 Official group portrait of Padma Shri awardees for 2012 with the President and Prime Minister of India. 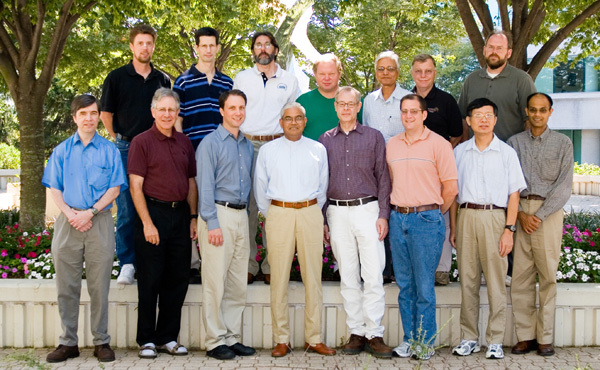 Group photo of Padma Shri awardees. 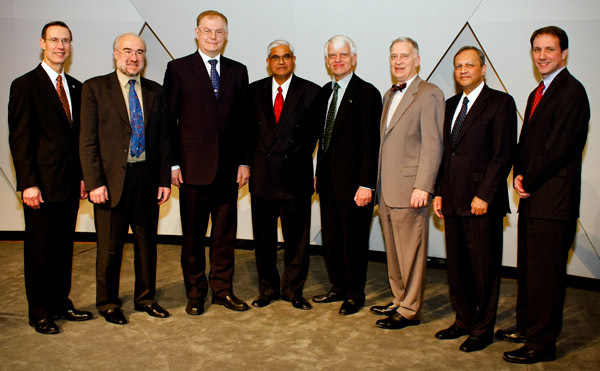 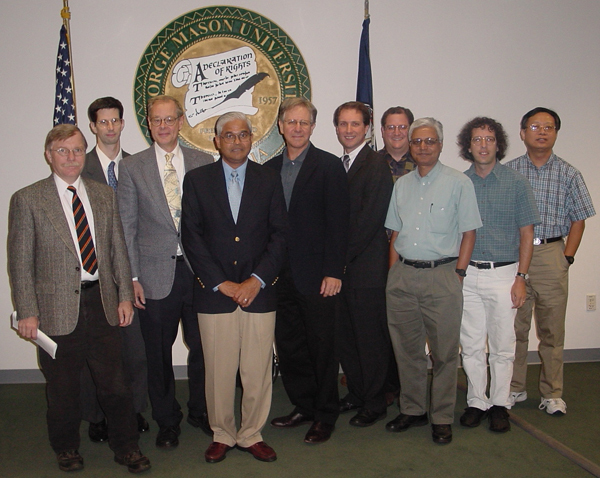 Invited speakers at the IMO Prize Award Ceremony at National Academy of Sciences (March 2008). 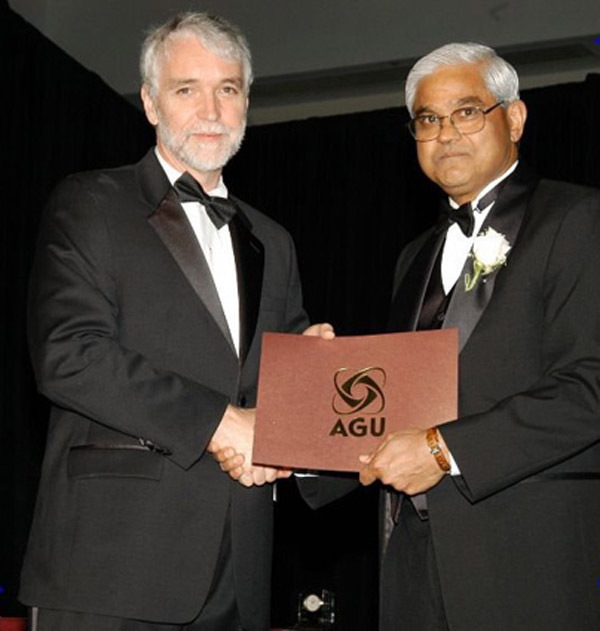 James Kinter, Director, Center for Ocean Land Atmosphere Studies. 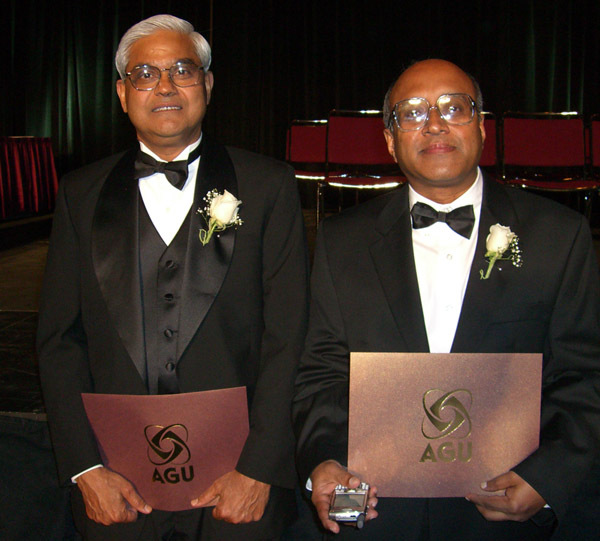 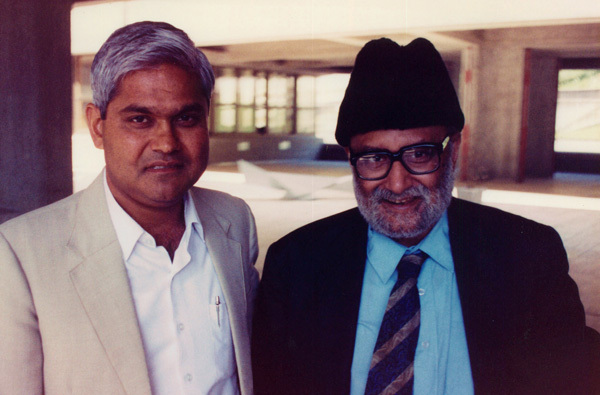 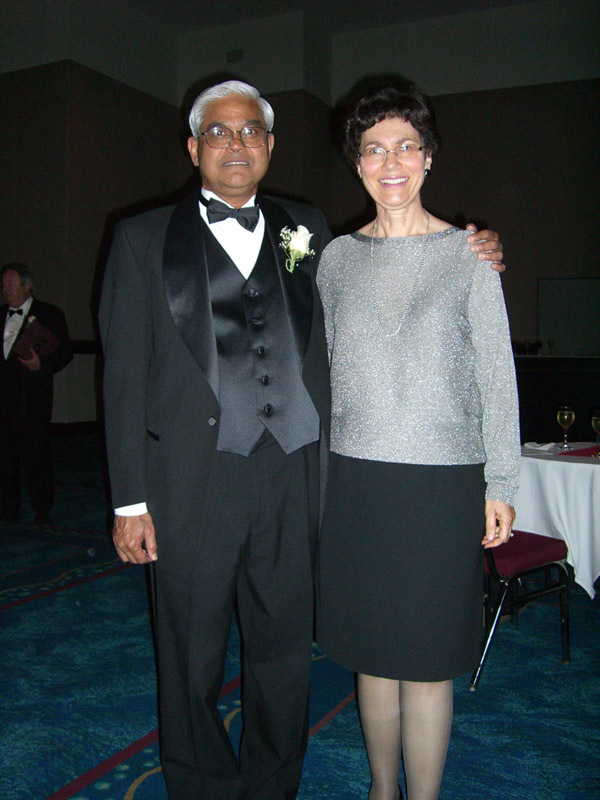 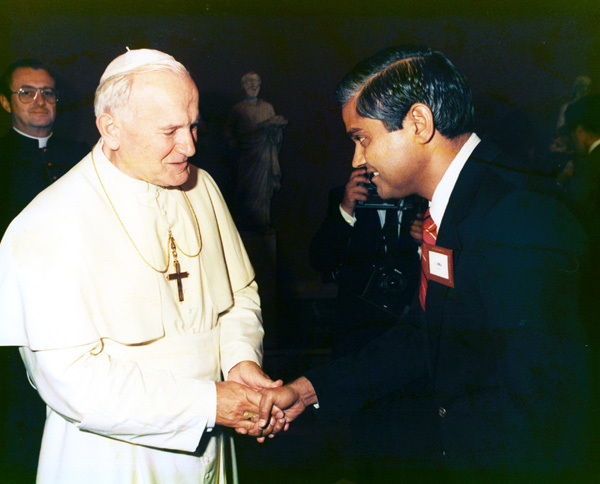 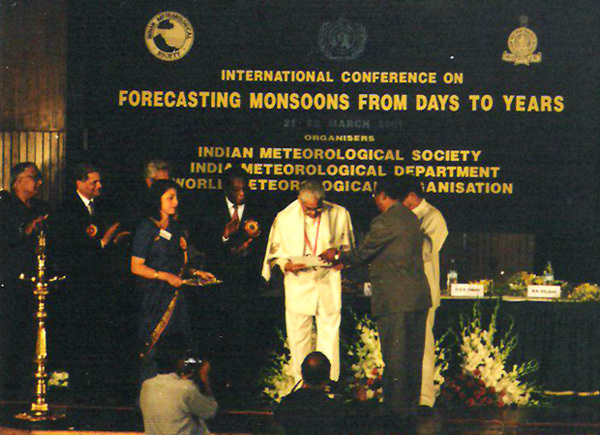 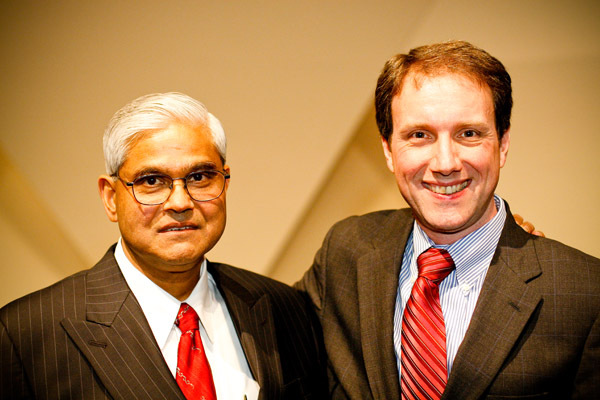 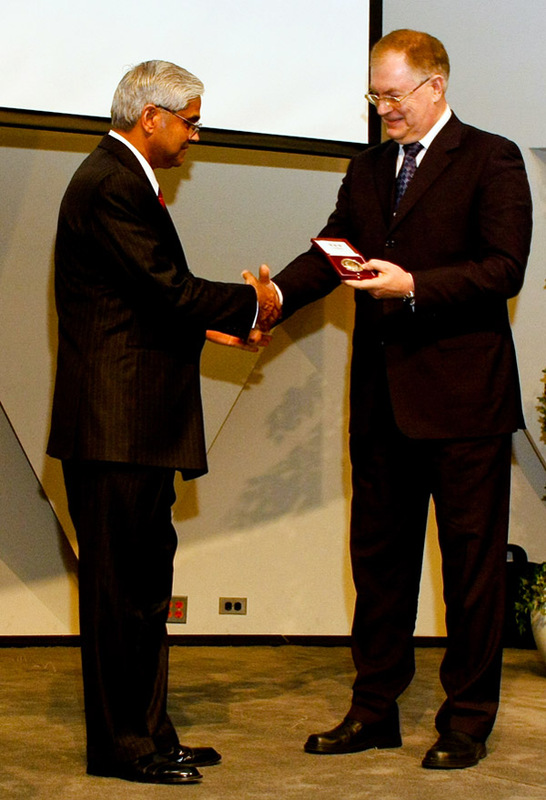 J. Shukla and James Kinter at IMO Award Ceremony (March 2008). 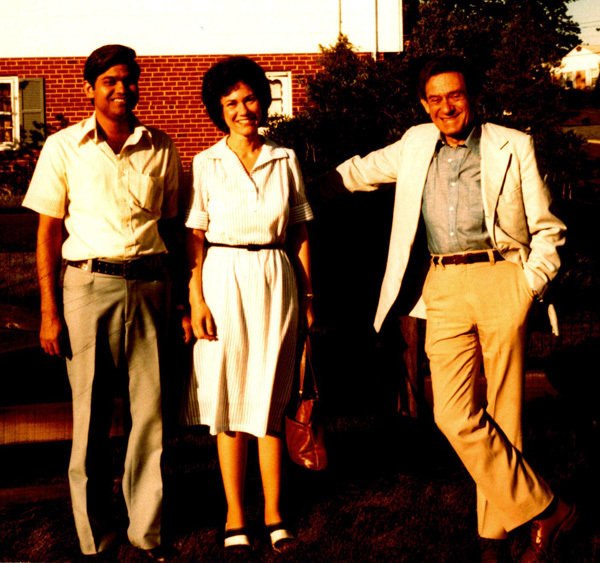 Mike Fennessey, V. Krishnamurthy, Paul Schopf, Brian Doty. 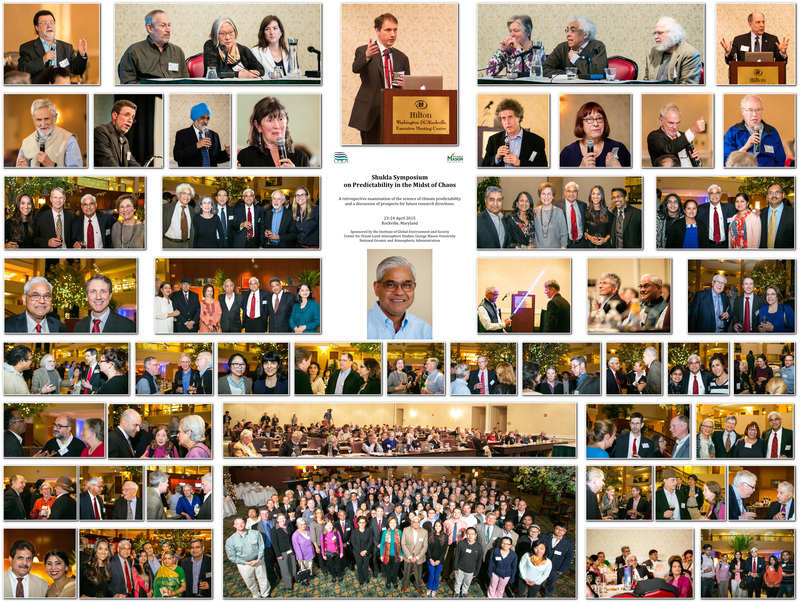 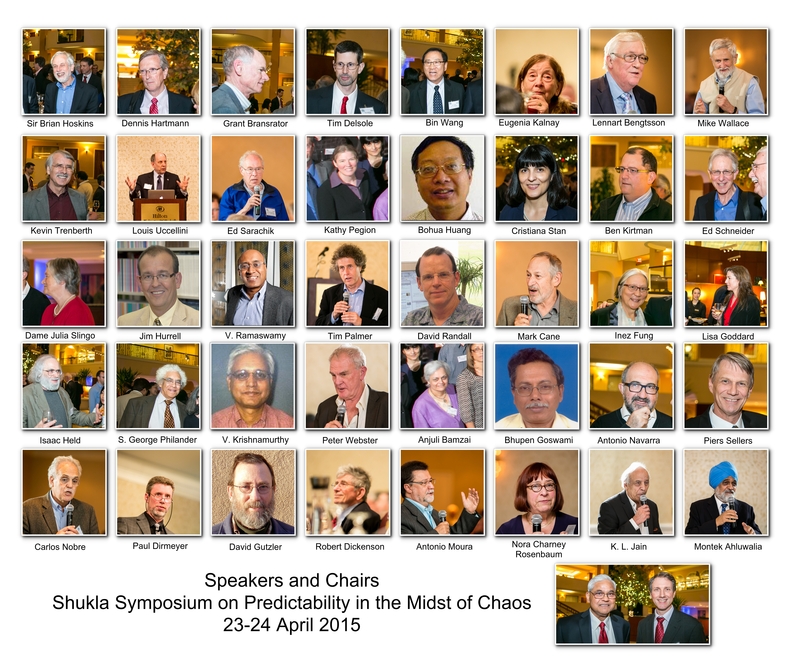 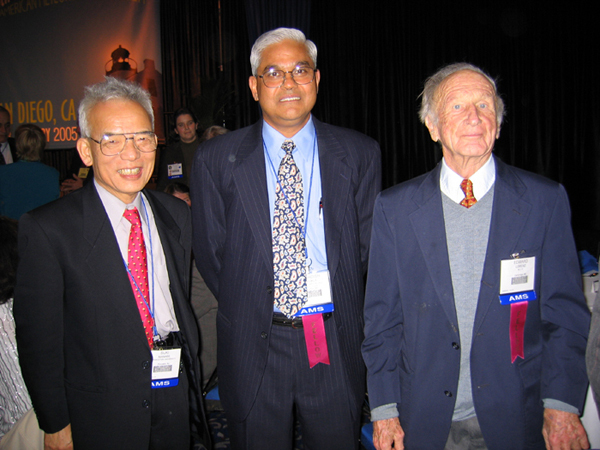 Jim Kinter, Ben Kirtman, V. Krishnamurthy, Barry Klinger, Bohua Huang. 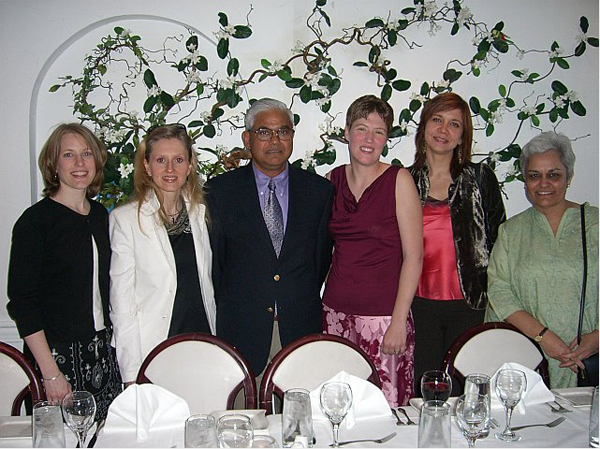 (L to R): Susan Bates, Laura Feudale, J. Shukla, Kathy Pegion, Julia Manganalle, Anjuli Bamzai. 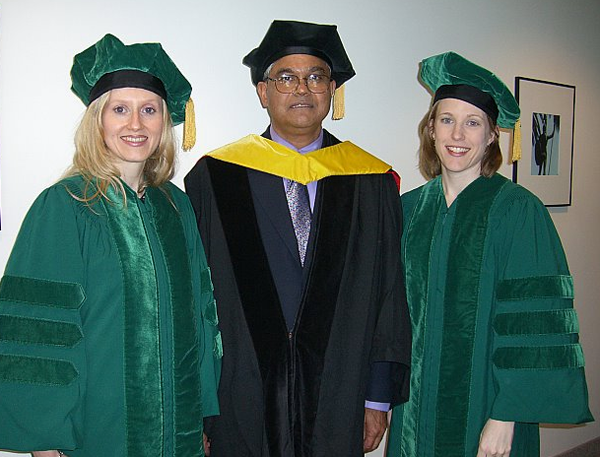 Laura Feudale, J. Shukla, and Susan Bates at GMU Graduation, May 2006. 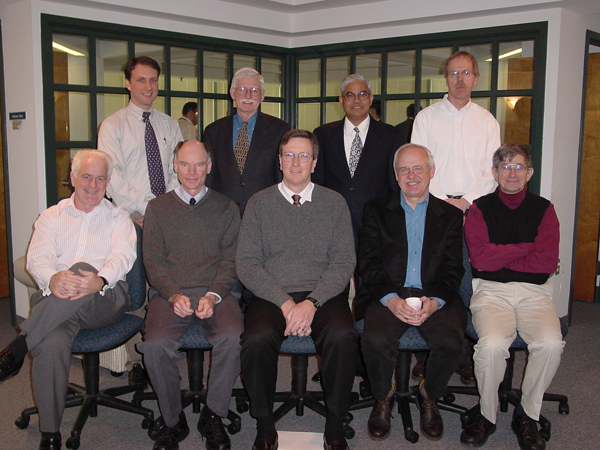 Seated (L to R): Dave Burridge, Grant Branstator, Dennis Hartmann, Ants Leetmaa, Bob Dickinson. 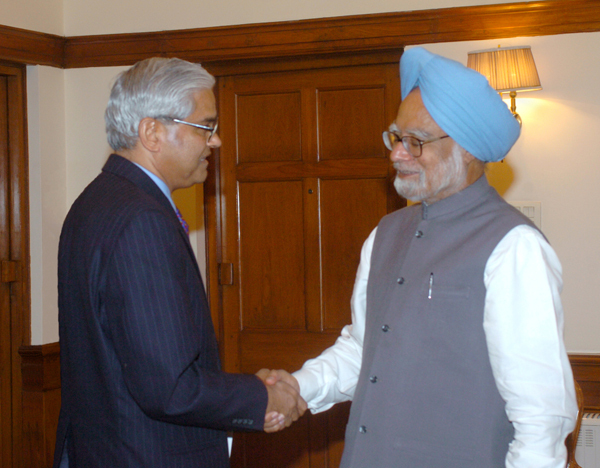 J. Shukla meets Dr. Manmohan Singh, Prime Minister of India, at his residence on 13 February 2006. 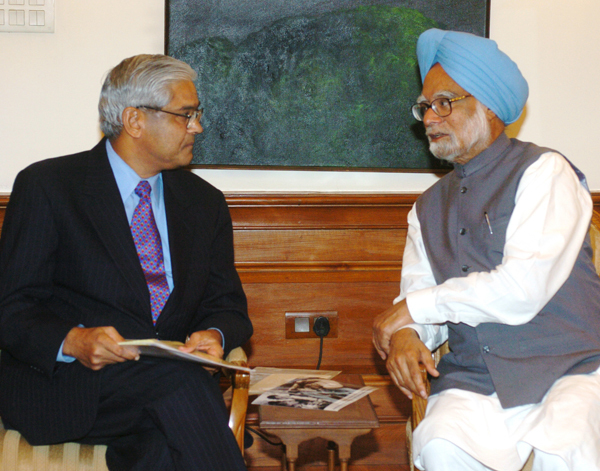 J. Shukla meets Dr. Manmohan Singh, Prime Minister of India, at his residence, February 2006.